Autumn is looking like it will be as busy as ever here @ Tigh Roy. We look forward to welcoming the Amherst Writing Group, Iseili-Chiodi Dance Co. Mindfullness Meditation and many other groups over the next couple of months. Thanks to all who took part in the recent detox week. This was our 10th year, hard to believe. It was great to see all the familiar faces and some new ones too. Special thanks to Maggie Cross for organising and running this very sucessful event. 2013 has turned out to be a busy time here at Tigh Roy, Ionad Cultúrtha. A special thanks to Tadhg Ferriter www.yogaontrack.ie for visiting us with his wonderful group of yoga practitioners. Thanks also to Timothy Sweeney for the Mindfullness Meditation Course and not forgetting our regular visitor Angelika Renger and her yoga/hillwalking group from Co Wicklow. It is always a pleasure to welcome our regular visitors from the Knockenrawley Resource Centre in neighbouring Tipperary town. 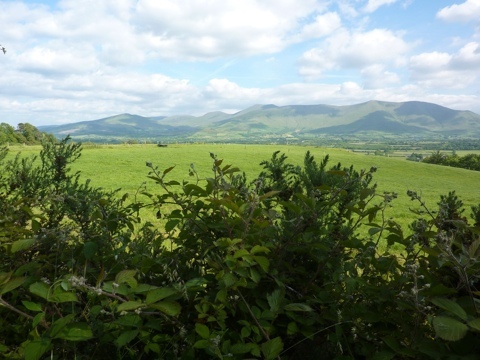 The Glen of Aherlow walking festivals (Jan + June) were a great sucess with plenty of walkers enjoying the beautiful scenery. Thanks to the committee of the Glen of Aherlow Fáilte Soc for organising such great events, and of course we were voted ‘ best inland destination in which to holiday in Ireland’ by the The Irish Times newspaper.